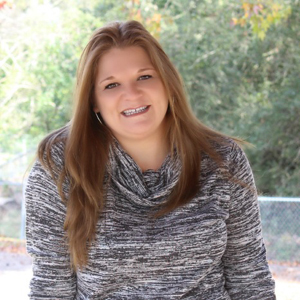 By Kristi · 5 Comments · · Disclosure: This post may contain affiliate links. Using an affiliate link means, I might earn a commission from any purchases through that affiliate link. 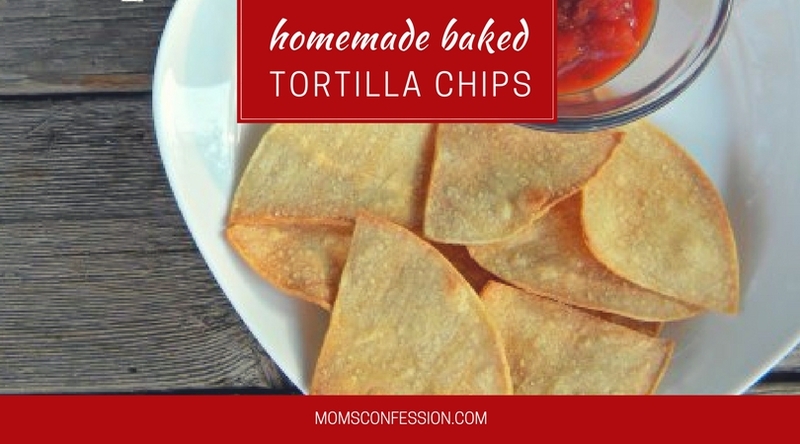 If you have never had homemade baked tortilla chips, you are really in for a treat. These corn chips taste nothing like the ones you get in bags at the grocery store and this is a good thing! Not only do I consider these a healthier alternative because they are baked, but because you are making them yourself, you can control the amount of salt and seasonings you add. I love to make these when we have leftover tortillas from another meal. 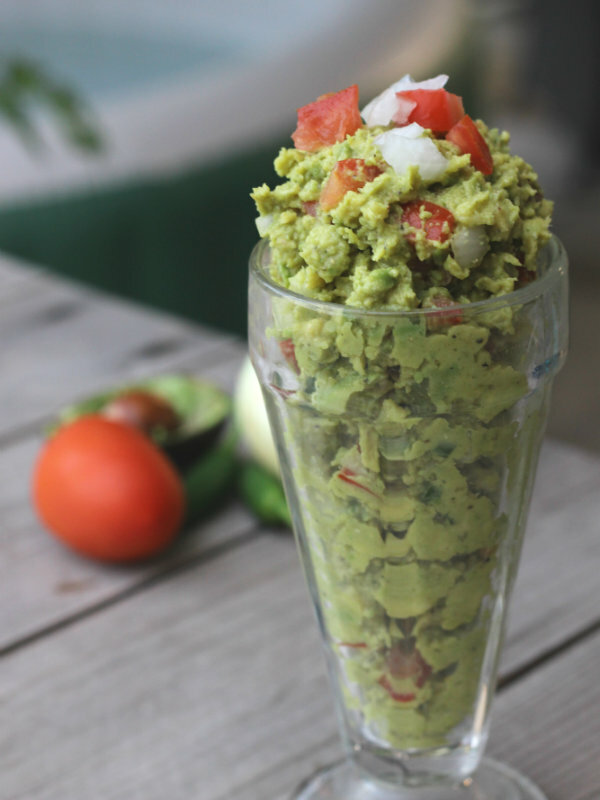 They are a great way to use up any corn tortillas that would otherwise go bad. 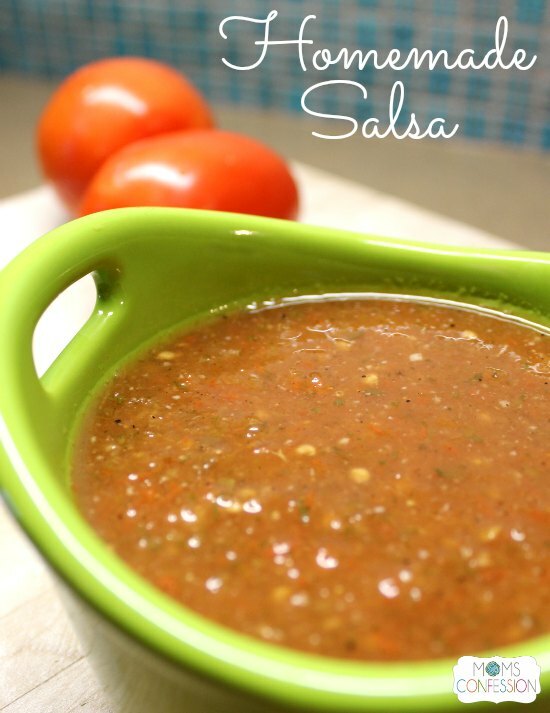 Since I really like baked tortilla chips to enjoy with my homemade salsa, these are my quick go-to fix! Their crunchy, yet somewhat chewy texture is amazing and great for all sorts of dips and toppings. Don’t expect them to taste like the chips from the store…these are much better and you may not even want to share them! Cut corn tortillas into 6 triangles. Lay tortilla quarters onto a nonstick cookie sheet. Lightly spray each tortilla with Pam Cooking Spray. Lightly dust with a pinch of salt. Bake at 375˚for 7 minutes (or until lightly golden on one side). Flip the tortillas over to bake the other side for 7 minutes (or until lightly golden). 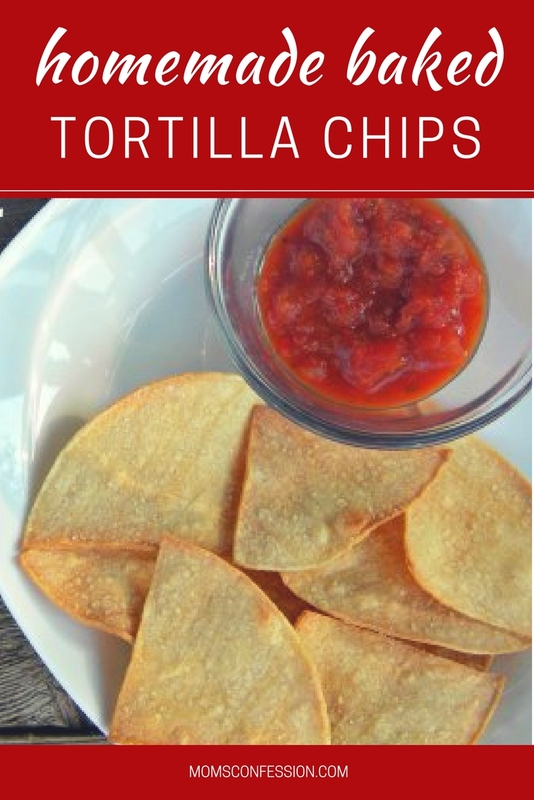 Get the printable baked tortilla chips recipe below. These homemade baked tortilla chips will knock your socks off. They are super easy to make at home and are great as a healthy snack for kids after school. Quarter corn tortillas into triangles. Our family is growing our first container garden and have planted tomatoes and other ingredients for homemade salsa. This homemade tortilla chips recipes will be perfect to get with out salsa! Pinning! I would love for you to share your recipe on my Show-Licious Craft & Recipe Party! The party is live now! join us each Saturday at 8:00 am EST! 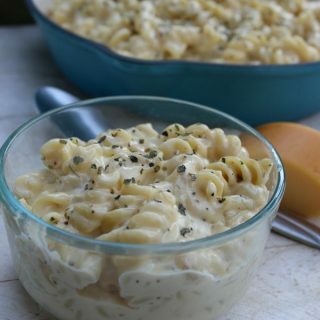 This is an awesome recipe to have little kids help you with. Definitely Monique! Thanks for stopping by!